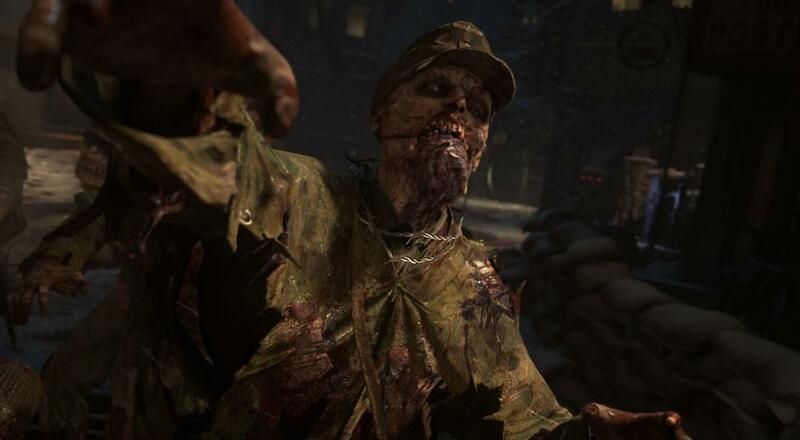 After getting teased over and over again about the co-op zombie mode in the forthcoming Call of Duty: WWII, developer Sledgehammer Games has finally given up the goods. The "Nazi Zombies" mode will be released alongside the game on November 3 and the team has been working to make a "frightening world full of terrifying characters and events that will make you jump and look over your shoulder." Like many of the zombie modes in previous Call of Duty titles, this one will feature a cast of characters with some famous voices backing them. David Tennant (Dr. Who, Broadchurch), Elodie Yung (G.I. Joe: Retaliation, Daredevil), Katheryn Winnick (Vikings, The Dark Tower), Udo Kier (Blade, Melancholia), and Ving Rhames (Pulp Fiction, Mission Impossible – Rogue Nation) will all voice various characters in the mode. Interestingly, the squad this time around isn't part of some anti-occult group or anything of that nature, but rather they are all members of the Monuments, Fine Arts, and Archives Section (MFAA, or "Monuments Men") and are simply trying to recover priceless pieces of artwork in the Bavarian countryside. Of course, they inevitably stumble into something far worse than an original Van Gogh that's been burned, and zombie hijinks ensue. There's a new video for this zombie mode (featuring Udo Kier's narration) that sets up some of the "dark, grim places" the devs have promised. Fair warning: there's some gruesome/disturbing imagery in this. Call of Duty: WWII will be released on PC, PlayStation 4, and Xbox One on November 3. Four player online co-op will be support in the "Nazi Zombies" mode. Page created in 0.5705 seconds.